Providence-based NABsys is on a serious roll. The startup’s latest achievements include closing a $7 million Series B round and naming semiconductor legend and Analog Devices co-founder Ray Stata to its board. Nabsys is a life sciences company working at the intersection of physics, biology, and computer science to revolutionize medicine through clinical-grade whole-geonome DNA sequencing. NABsys is one of five companies to receive a “$1000 Genome” award from the National Human Genome Research Institute of the National Institutes of Health. 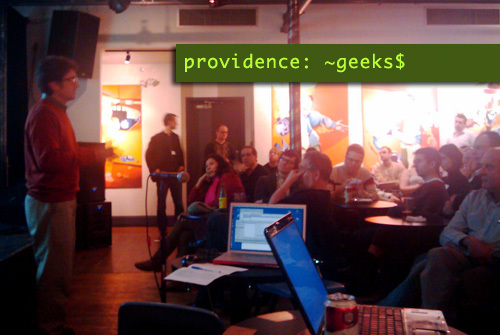 At the April Geek Dinner, Nabsys President & CEO and Providence-native Barret Bready will give an overview of NABsys focusing on the impressive computer science and information technology that is enabling his company to make major breakthroughs in DNA sequencing.